4.2" x 3.9" stitched on 14 count. 3.3" x 3.0" stitched on 18 count. 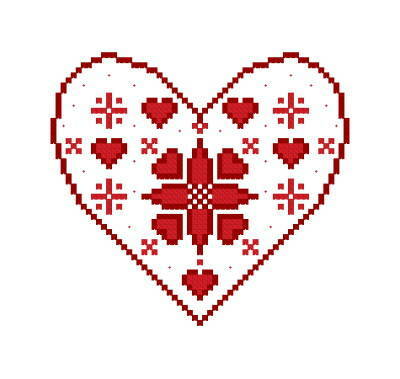 Danish Heart Ornament cross stitch pattern... This is a sweet little heart ornament. It is suitable for Christmas, Valentines Day, Wedding favors, or just for that special person. It would look wonderful stitched in traditional blue colors.